Free Google Home Mini with every Spotify Family subscription | What Hi-Fi? Spotify may be the biggest music streaming service in the world, but it isn’t resting on its laurels when it comes to getting new subscribers. The green giant has a new offer in the UK: one free Google Home Mini with every sign up to its £14.99/month Family subscription, while stocks last. Sadly (but fairly), that’s one free speaker per subscription, not one per user. The Spotify tier essentially gives you up to five others in your household Spotify Premium, which is £9.99/month for the individual plan. That's unlimited, ad-free streaming of its catalogue, with offline downloads and Spotify Connect functionality. The offer ends on the 14th May, and Google Home Minis must be redeemed by the 24th May. While the Google Home Mini (normally £49) isn’t the perfect smart speaker, it’s not a bad freebie for anyone looking to dip their toes into the voice control pool. 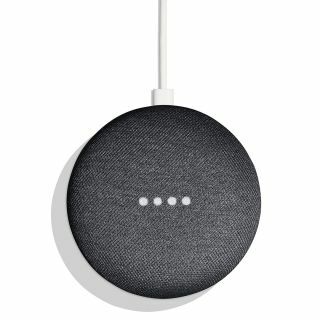 Basically Google's spin on an Amazon Echo Dot, it's a dinky device that comes with Google Assistant and can be used purely as a wireless speaker or as a smart hub, through which you can control other Google Home or Chromecast-enabled speakers around your house. To find out more, you can read our four-star Google Home Mini review.